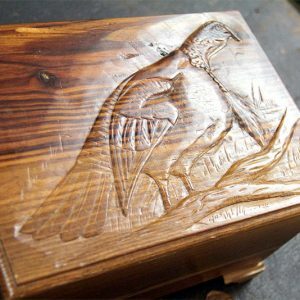 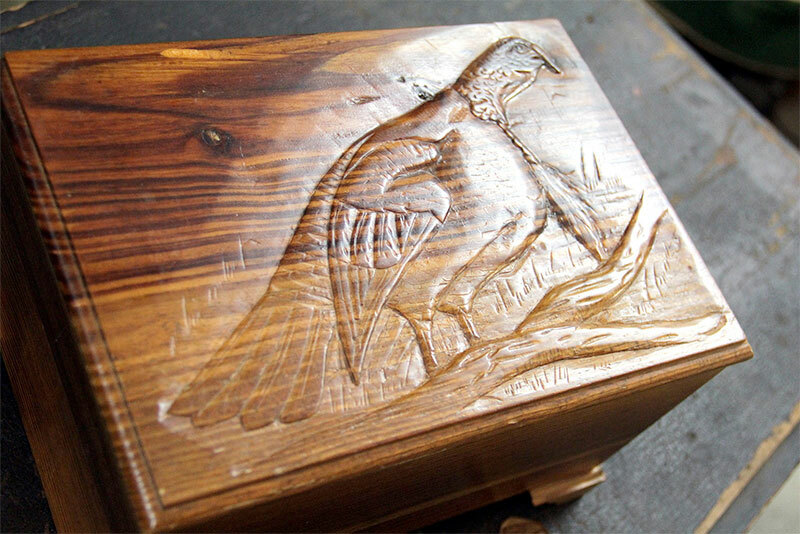 One-of-a-kind Collector Box with Turkey Carving on the top. 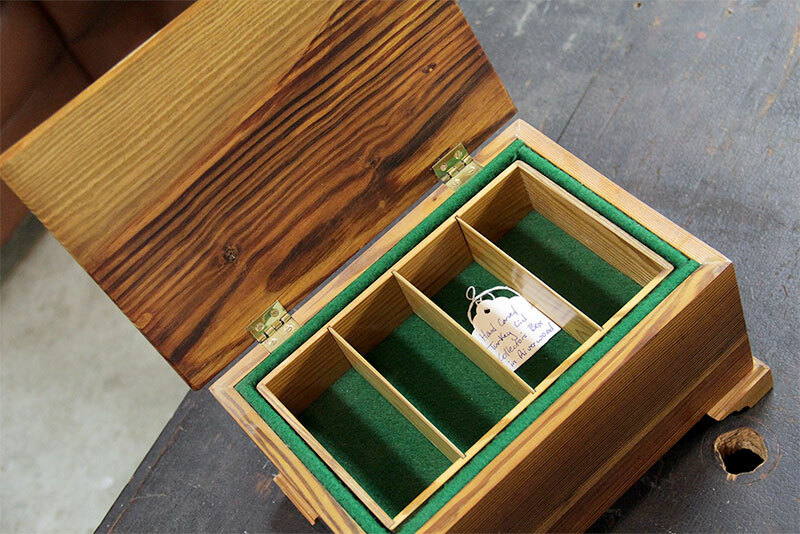 Made of heart pine from a tree that had been under the Cape Fear river for over 200 years. 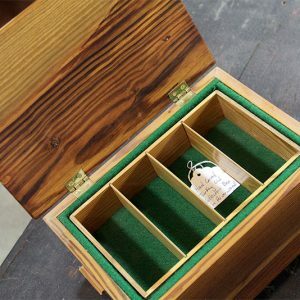 Call The ‘Stache today at 910-231-6865 or send an email to place an order or get more information about this box.